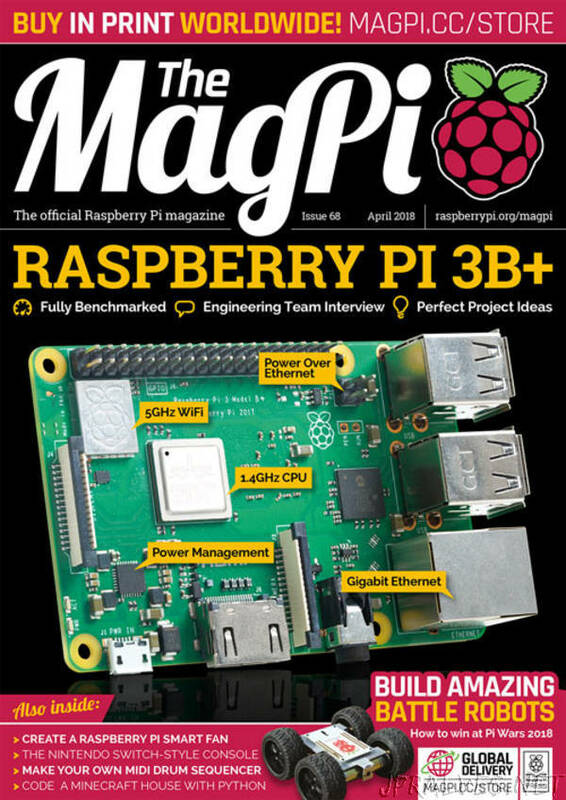 “Discover the new Raspberry Pi 3B+ in the April 2018 edition of The MagPi – The Official Raspberry Pi magazine. - Raspberry Pi 3B+. We fully benchmark the faster Raspberry Pi 3B+. Includes an interview with the engineering team and amazing project ideas for the faster computer. - Build Amazing Battle Robots. Get ready for Pi Wars 2018 with our guide to winning the Raspberry Pi robotic competition. - Create a Raspberry Pi smart fan. Keep your cool by hacking a fan with a Raspberry Pi. - The Pi Switch. Hack Nintendo Switch Joy-Cons to work with a Raspberry Pi retro gaming system. - Code a Minecraft House. Build your own house in Minecraft with Python.